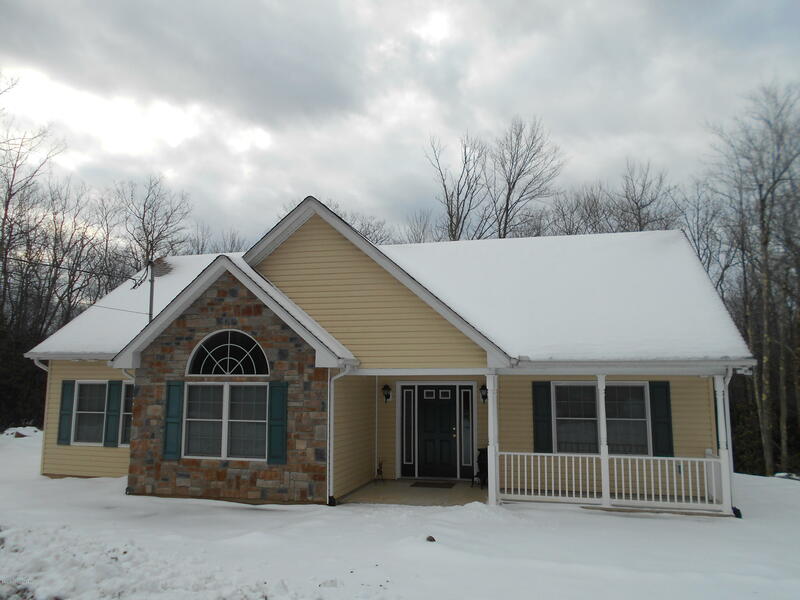 Remarks: This 3 bedroom 2 bath Ranch home is located in Pleasant Valley West. This spacious yet cozy, well maintained home features an open concept living and dining area with fireplace and high ceilings, a modern kitchen, nice sized bright and cheery master bedroom with a walk in closet and full bath. Outside is the perfect setting for relaxing, entertaining and enjoying nature on the deck, or around the picnic/firepit area listening to the pond waterfall. A 1 car garage completes this great property. Schedule your showing today, you don’t want to miss out!